Huffington Post reports that Congress was briefed 22 times on the PRISM program and provides the dates. Glenn Greenwald tells the AP we ain't seen nothing yet. "We are going to have a lot more significant revelations that have not yet been heard over the next several weeks and months," Greenwald said. Greenwald claims "dozens" of stories can be generated from the documents, and that the Guardian plans to pursue all of them. 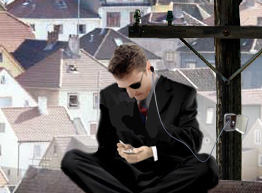 CBS reports the feds are prepping charges against Edward Snowden, who has gone underground in Hong Kong. He told the Guardian he may go to Iceland. Maybe he should go to New Zealand and hang out at the Dot Com mansion. NZ might not be so willing to provide mutual assistance in arresting Snowden after the debacle of the Kim Dotcom raid. 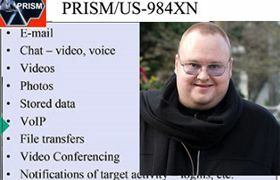 The PRISM story keeps growing -- now there are reports the NSA has shared data on Kim Dotcom obtained via PRISM with the international spy group "Five Eyes," (background here -- it includes representatives from the U.S., U.K., New Zealand, Canada and Australia,) and that Five Eyes may have given the intercepted data on Kim Dotcom to New Zealand's GSB, which in turn gave it to a specialized New Zealand police group, that used the information to assist the FBI and facilitate his arrest on U.S. charges.